Saraki Replies Those Seeking His Impeachment: "Your Noise Will Soon Fizzle Out"
Senate President Bukola Saraki has expressed optimism the impeachment threats against him will fail. 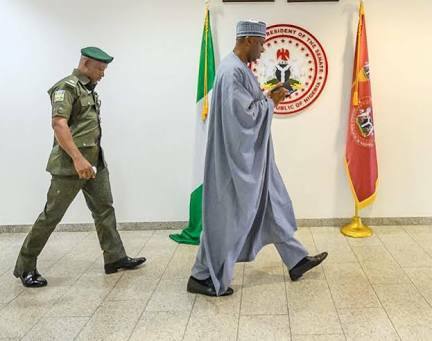 Saraki, who was on a private visit to Delta State Governor Ifeanyi Okowa yesterday in Asaba, Delta State capital, said he left the All Progressives Congress (APC) because the ruling party had derailed from the “democratic visions and ideas” espoused at its formation. Saraki, who had on his entourage Senators Peter Nwaboshi and Dino Melaye among others, said he is not losing any sleep over the impeachment threats. According to him, when the National Assembly reconvenes and constitutional processes are followed, the impeachment threats will “fizzle out”.